Victoria, BC, Canada / ACCESSWIRE / July 29, 2014 / PC Maximizer optimizes your PC, removes potential privacy risks and free up disk space with just the click of a button and makes your computer faster. The easy to use interface of this software is garnishing tremendous amount of attention worldwide. 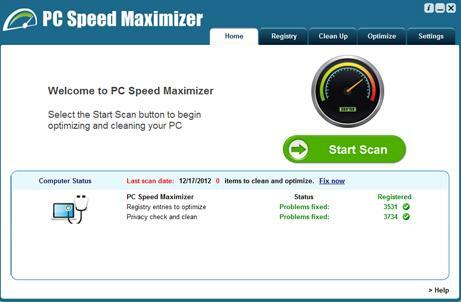 PC Speed Maximizer is a computer optimizer created and marketed by Avanquest Software. This company has released more than 1,500 software titles over the course of 20 years and is an experienced quality software provider. The software features a registry cleaner, a PC cleanup wizard, and other tools that will speed up your computer and help it run more efficiently. With a comprehensive registry cleaner and system optimization tool, this software can help you overcome the root cause of almost all computer problems for normal daily use. John Reves, a regular user of the software, said,”I have been using PC Maximizer for some time now and I have never encountered any major optimization related problems unlike many of my friends who are not often happy with the other softwares they have been using. I am definitely a big fan of this software.” According to the sources this product has captured imaginations of a lot of computer geeks who are using them. What’s more is that they also offer a 15-day purchase protection guarantee. Unlike many other scanning tools, Speed Maximizer offers two scan settings. The first is a quick and dirty look at your computer’s performance issues which is completed in about 30 seconds. In less than a minute, this scan can find hundreds of registry errors, temp files, invalid shortcuts, etc. And in just one more click, all of these encountered problems can be fixed in less than five minutes. The second scan setting offers a deep and comprehensive scan which seeks out the smaller files overlooked by most scans. This intensive evaluation takes much longer, but can help fine tune your computer’s performance and uproot hidden problems that may have been overlooked by the first sweep. 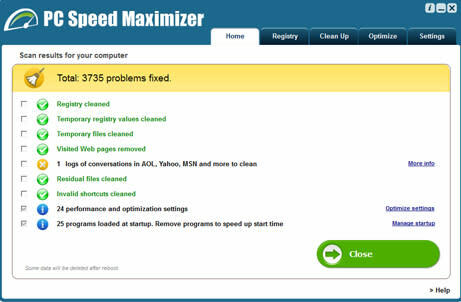 PC Speed Maximizer is a computer optimizer created and marketed by Avanquest Software. 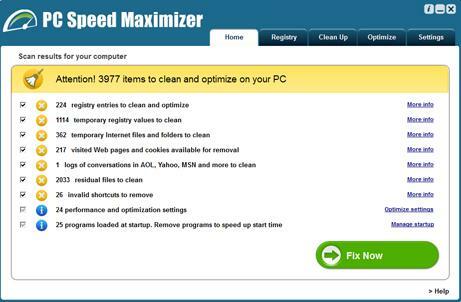 PC Speed Maximizer is a product of Avanquest Software. Avanquest Software is a French consumer software developer and publisher founded in 1984 in by Bruno Vanryb and Roger Politis under the name of BVRP and has subsidiaries in North America, Europe, and Asia. Its headquarters of Avanquest Software is based in the Parisian suburb of La Garenne Colombes, France. In 2007, Avanquest acquired Nova Development in the US and Emme in Europe, doubling its size. In February 2008 it was awarded the “Best European Company” prize in the category of Cross-border Mergers & Acquisitions.